If you have any questions about the KATHARINE information page below please contact us. Being built by the Trinity Yachts yacht builder in the United States the KATHARINE is 54 m 177 (foot) in length. Launched by 2001 this boat’s interior decoration confirms the distinction in the designing of Claudette Bonville. 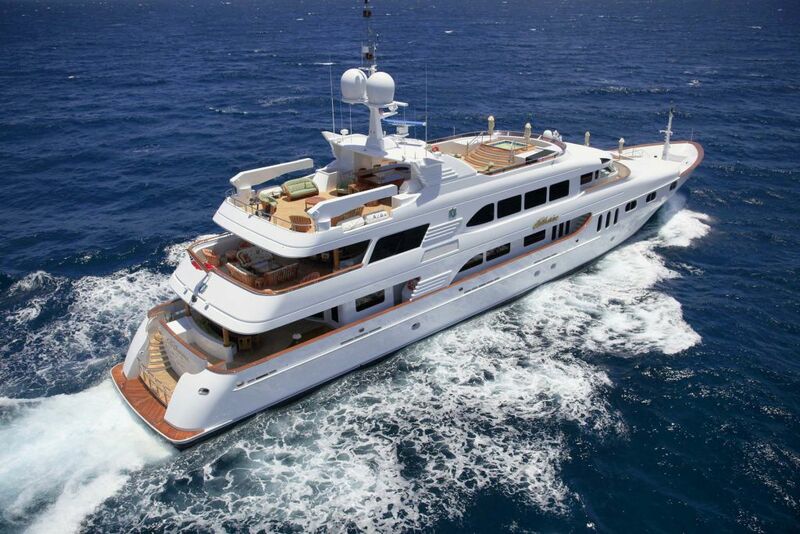 Superyacht KATHARINE can accommodate up to 12 passengers with 12 professional crew. The old, former or build project names are Seahawk. She is able to reach a top speed of 20 knots. Trinity Yachts was the naval architect firm involved in the technical nautical composition for KATHARINE. 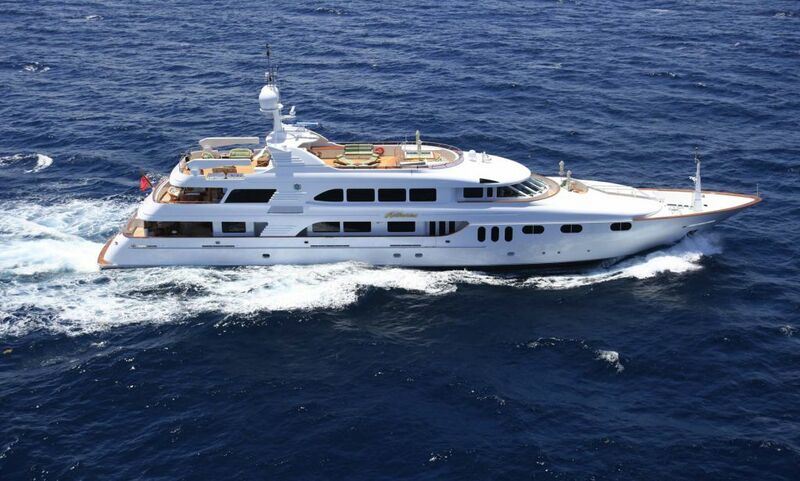 Also the company Trinity Yachts expertly worked on this project. Interior designer Claudette Bonville was employed for the internal internal styling. 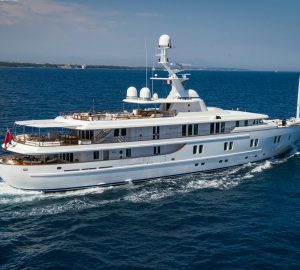 In 2001 she was actually launched to celebration in New Orleans LA and post sea trials and detailing was thereafter delivered to the yacht owner. 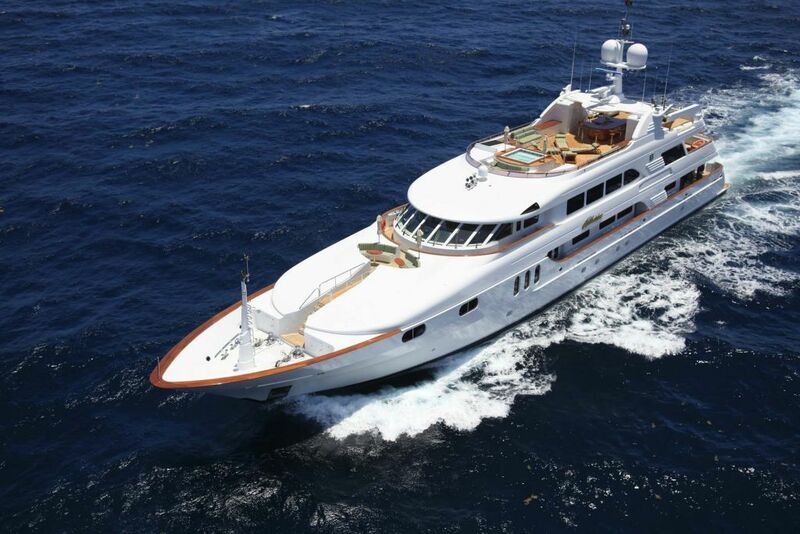 Trinity Yachts completed their new build motor yacht in the United States. Her hull was built out of aluminium. The motor yacht superstructure component is made mostly using aluminium. With a beam of 9.45 m / 31 ft KATHARINE has fairly large size. She has a reasonably shallow draught of 2.29m (7.4ft). She had refit improvement and alteration work carried out in 2004. The 12V 4000 M90 engine installed in the motor yacht is built by MTU. She is driven by twin screw propellers. The engine of the ship creates 2735 horse power (or 2013 kilowatts). She is equiped with 2 engines. The total output for the boat is thus 5470 HP / 4025 KW. As for stabalisers she uses Koopnautic. The bow thrusters are Koopnautic. Bestowing chambers for a maximum of 12 welcome guests sleeping aboard, the KATHARINE accommodates them luxuriously. The boat uses approximately 12 proficient qualified crew to run. 53.95 metres / 177 feet. Giving the combined power of 5470 HP /4025 KW. Her top Speed is around 20 knots. 6500 at a speed of 10 knots. Kilo-Pak 2 times 150 kilowatts. Sunrise. United States. Broward County. Florida. On October 2009 KATHARINE cruised Fort Lauderdale, in United States. KATHARINE also traveled the waters near Broward County during the month of October 2009. Marine Air is the company which made the air con on this vessel. She has a teak deck. 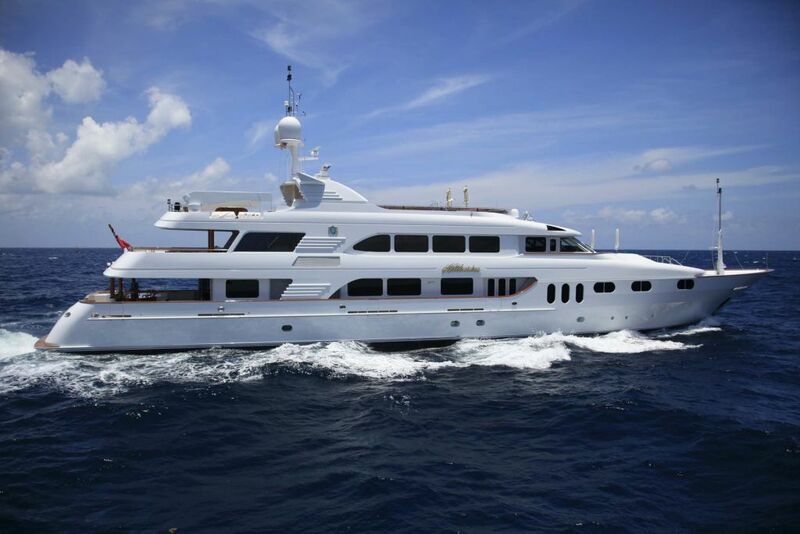 The luxury yacht KATHARINE displayed on this page is merely informational and she is not necessarily available for yacht charter or for sale, nor is she represented or marketed in anyway by CharterWorld. This web page and the superyacht information contained herein is not contractual. All yacht specifications and informations are displayed in good faith but CharterWorld does not warrant or assume any legal liability or responsibility for the current accuracy, completeness, validity, or usefulness of any superyacht information and/or images displayed. All boat information is subject to change without prior notice and may not be current. "Peerless in design, craftsmanship, and performance, Trinity Yachts has gained recognition as one of the world's elite builders of custom super yachts in the United States. While most super yachts are constructed on a semi-custom basis, Trinity provides customers the ability to build a truly custom yacht to any design in any size up to 400 feet that rightfully fulfills their unique yachting desires."